The Sam Cooper Team just sold another home in Worthington Ohio. The Sam Cooper Team were selling agents of this beautiful condo located in Worthington Heights. 7711 Garrison Dr. Worthington Ohio 43085 sold for $114,000 and closed on August 29, 2012. 7711 Garrison Dr. features over 1200 square feet of living space with 3 bedrooms, 2.5 baths, a finished lower level rec room and attached 2 car garage. If you know anyone thinking of buying or selling a home or condo in Worthington Ohio, please have them contact the Sam Cooper Team with HER Real Living. 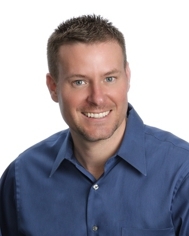 Sam Cooper is one of the top 1% selling real estate agents in all of Central Ohio ( 2009- 2012 ). Call Sam Direct: (614) 561-3201.